I, like most people I know, plant my onions from sets that I buy at the feed store. 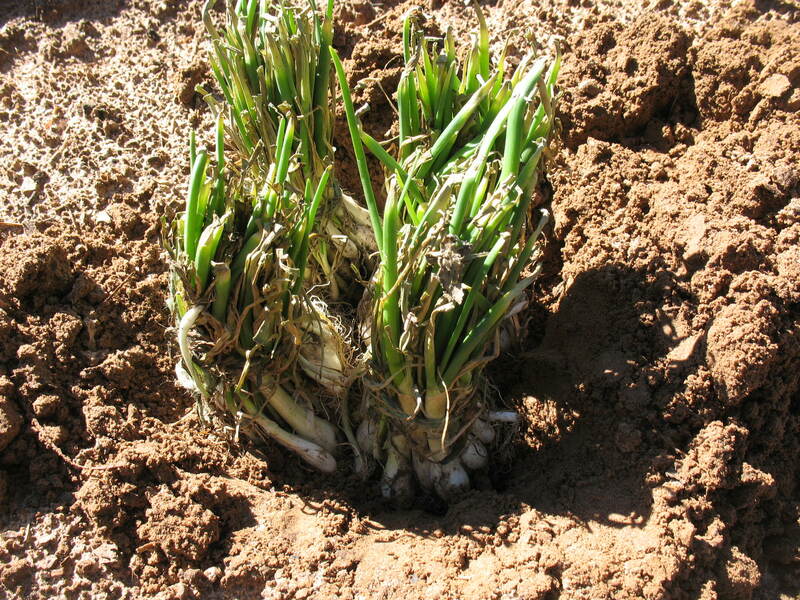 You can start onions from seed, but it’s much easier to buy the small bunches of onions that are about five or six inches tall and just stick them in the ground. 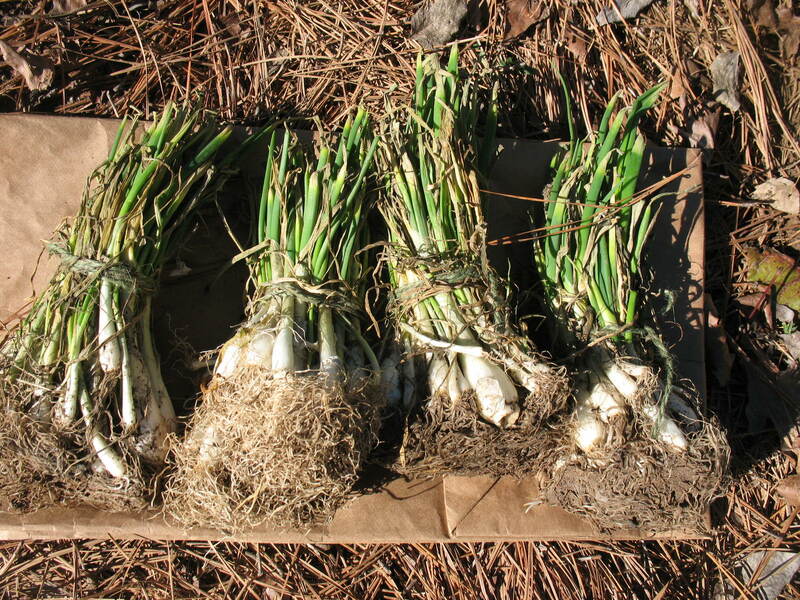 Here in East Texas we plant onion sets around mid-February. My dad always planted onions and potatoes on Valentines Day. The problem is that onion sets are already in at the feed store, but it won’t be time to plant them for about three weeks. The onions will still be at the feed store three weeks from now, but they will be pretty dried out and not nearly as prime as they are now. So, what I do is go ahead and buy my onion sets while they are good and fresh; and then I heel them in until it is time to plant. 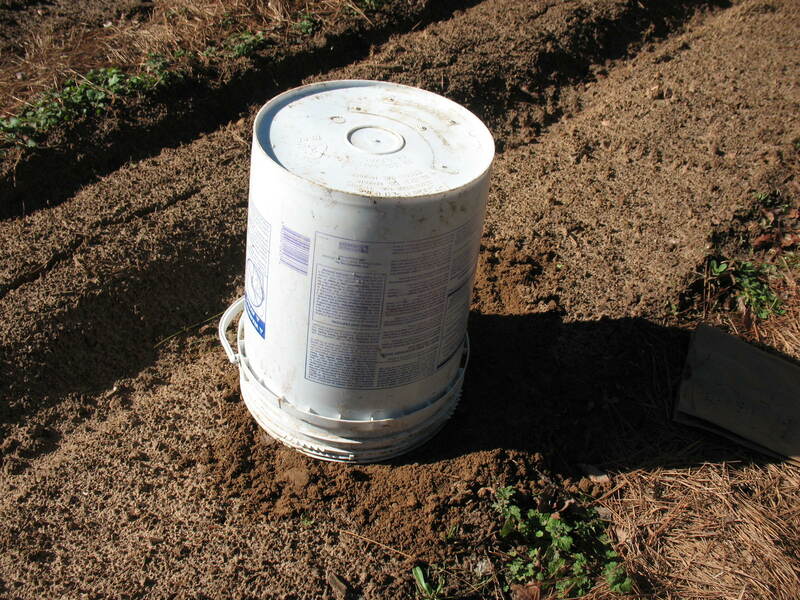 “Heeling in” is a temporary planting so that the plants will be able to draw nutrients and moisture from the soil while they await a final planting location. The heeling in process is very simple and only takes a few minutes. 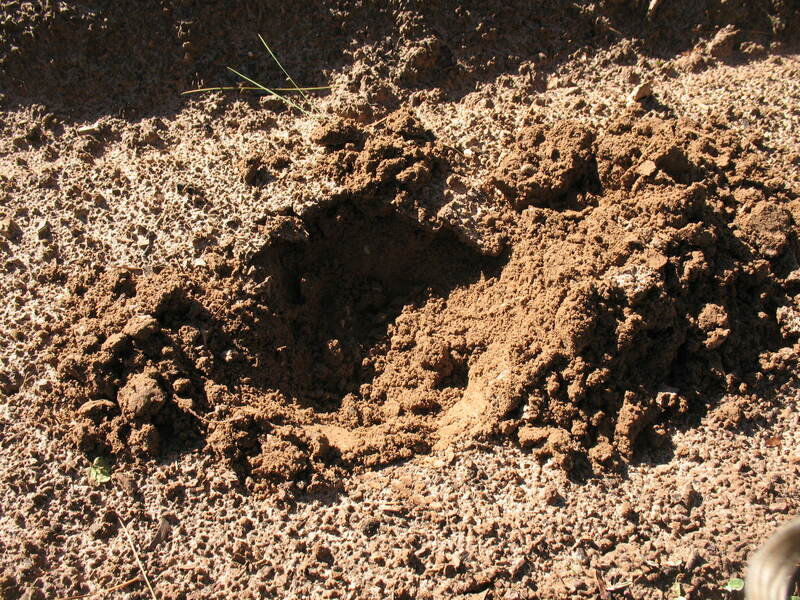 All you have to do is go out to your garden and dig a shallow hole. For onions I dig down about two inches. Then you place the still bundled onions all together in the hole. Just stick the bulb portion underground and leave the greens sticking up. Drop dirt around and in between the bundles and firm it down gently. Water lightly, and you are all heeled in. “Well Hank,” you say, “If you’re going to do that why don’t you just go ahead and plant the onions?” Good question; and I have a good answer. You see, I don’t want my onions to be caught by a hard freeze. 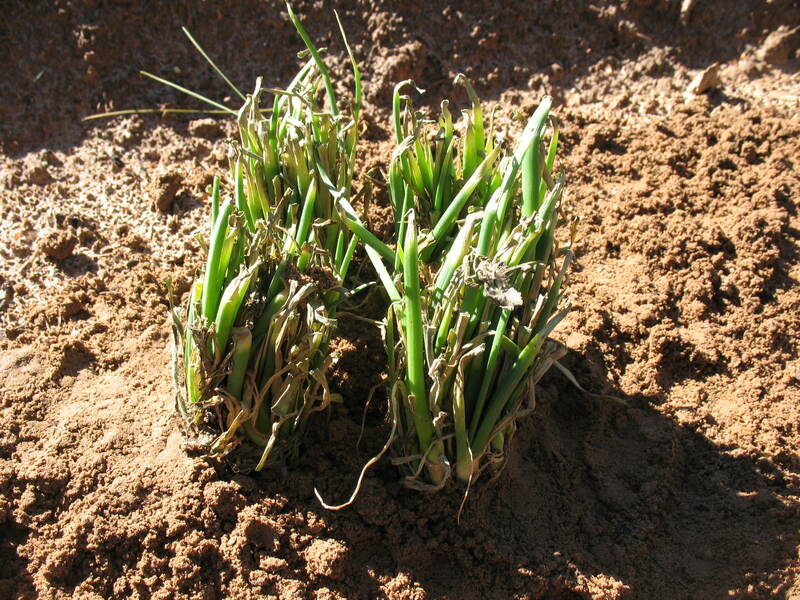 Onions are pretty frost tolerant, but if they catch a hard freeze the tops may die back. The bulb will sprout again but you’ll end up with that little dead ring in the middle from the killed top; and that dead ring can be the beginning of a rotten onion if you are trying to store them for a few months. Now I know that those people going through a blizzard up in Boston may have trouble believing it, but winter is almost over here in East Texas. We might get a hard freeze in the next three weeks, but by mid-February the wild plum trees, what we call hog plums, will be blooming. After that time we generally don’t get a hard freeze, and by the second week of March we’ve usually had our last frost. So all I have to do is get my onion sets through about three weeks and then I can plant them. By heeling them in all together in one location, I can throw a little pine straw on top of them and cover them with a five gallon bucket if we do have a freeze. This is the method I use to cover my outdoor faucets during a freeze, and they have weathered temperatures in the teens with no problem. The freezing temperatures rarely last more than a day or two, and the ambient heat from the ground, along with the heat produced by the decaying pine needles, will keep my onion sets (and faucets) from freezing. On Valentine’s Day I’ll pull my nice fresh, healthy onion sets; separate the bundles, and give them a semi-permanent home in my garden.